COMMENTS: seasonal series since 1997. Normal series registration since 1956. Plate style since 1997. 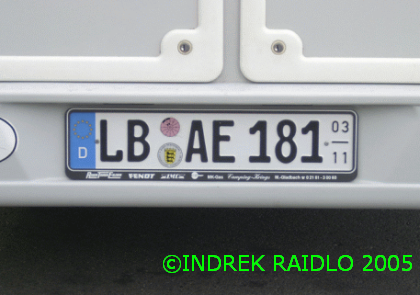 LB=Ludwigsburg. 03/11 indicate that vehicle can be used from March to November. COMMENTS: seasonal series since 1997. Normal series registration since 1956. Plate style since 1997. WL=Winsen Luhe. 03/10 indicate that vehicle can be used from March to October. COMMENTS: provisional series since 1998. Valid for 5 days, until 20th July 2004. Plate style since 1998. 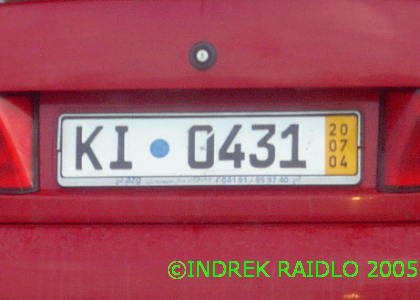 KI=Kiel. COMMENTS: temporary series since 1989. Valid until 15th of June 2006. Plate style since 2000. 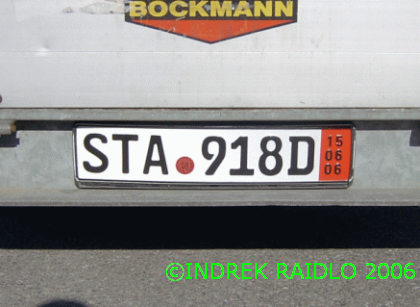 STA = Starnberg. COMMENTS: oldtimer series since 1994. 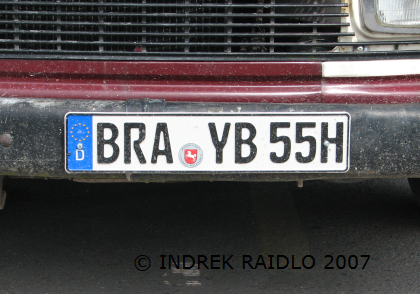 Plate style from 1956 to 2000. 06=oldtimer. HD=Heidelberg. COMMENTS: oldtimer series since 1994. 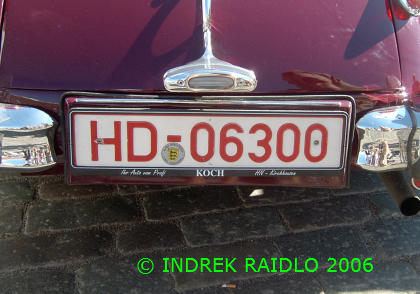 Plate style from 1956 to 2000. 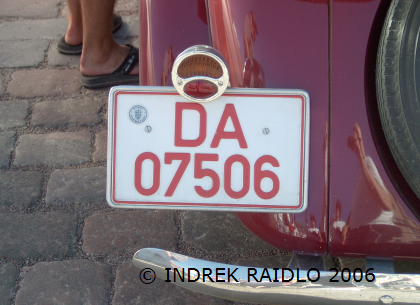 07=oldtimer. DA=Darmstadt. 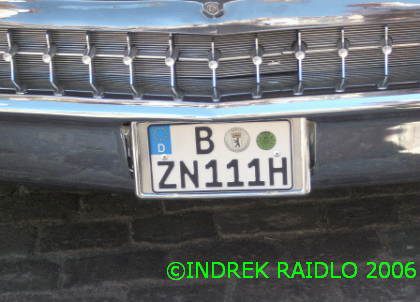 COMMENTS: series for over 30 years old historical vehicle (H=Historisch) since 1997. Normal series registration since 1956. Plate style since 1995. BRA=Brake. COMMENTS: series for over 30 years old historical vehicle (H=Historisch) since 1997. Normal series registration since 1956. Plate style since 1995. B=Berlin. COMMENTS: military series since 1956. Plate style since 1956. Y=Bundeswehr. COMMENTS: series for United States forces in Germany since 2007 for cars being shipped back to USA. Letters QQ since January 2010. 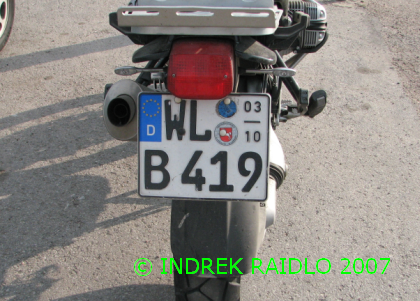 Plate style since 2007. 1. 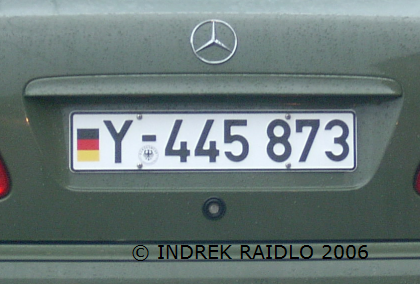 German tricolor and Army seal (Bundeswehr) on military plate. 2. yellow band from provisonal plate indicating day,month and year of validity. 3. red band from temporary plate indicating day,month and year of expiry. 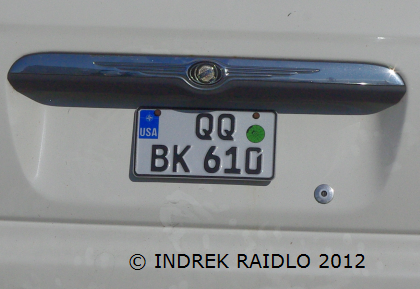 4. blue band on US Forces plate.